Welcome to UW ASDA's Blog! 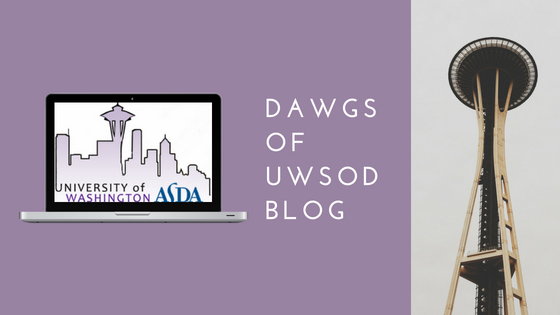 Hello, and welcome to the start of the University of Washington’s American Student Dental Association Blog (aka Dawgs of UWSOD)! As our spring quarter morphs into a hectic beast, we want to make sure you dental-minded individuals are familiar with this new blog. Our goal of the blog is to grant the opportunity to learn more about our classmates and share unique stories with one another. We hope to inspire dental students, prospective dental students, and other individuals reading this, as well as share with our community UWSOD's diversity and highlight our accomplishments. Moreover, please check out our new website! It’s filled with fun events that ASDA members have been a part of and future events that we have scheduled. Plus, you can join ASDA and receive numerous benefits! We will update our blog multiple times throughout the week. James is currently a D1 student and part of the cohort class of 2021. When he is not studying, he enjoys playing with his dog, BB-8. In the near future, he wants to open a private practice and provide for his community.